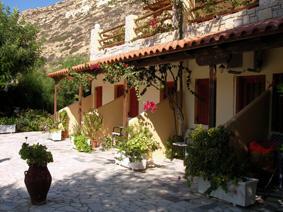 The Pension Romantika is located in Matala, only 300 meters from the famous beach. There are a total of 10 single-, double- ,and three bed rooms, furnished in a friendly way, each with its own shower, WC and a big communal balcony. On the first floor you'll find a comfortable salon with a fully stocked bar. 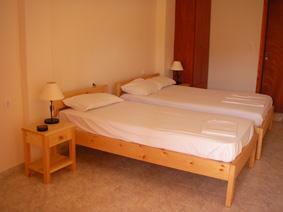 The guesthouse is quiet and cosy but nevertheless central located. 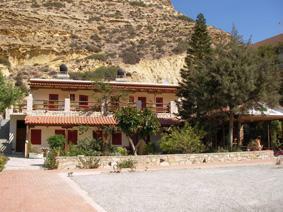 It's only 5 minutes walk to the center of Matala with its many shops, bars and restaurants. Best choice for who prefers a simple but clean and very cheap guesthouse.